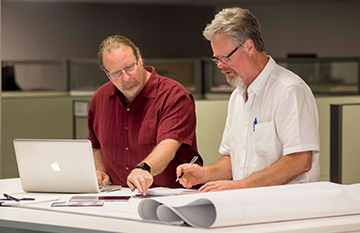 AT WHITLOCK, OUR PEOPLE ARE THE DIFFERENCE. We strive to empower our people to do great work, build a career and enjoy success. Our dedication to our employees, our customers and our culture inspires the work we do each day to provide intelligent, informed solutions for our customers. At Whitlock we make communication and collaboration better and more efficient for today’s modern workplaces, so they can focus on what they do best. We’re motivated to help our customers get more face-time with the people that matter to them the most. 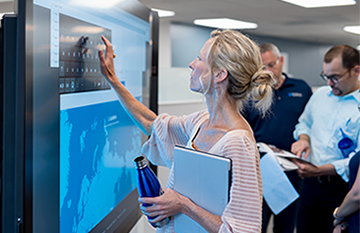 We're leaders in AV and collaboration technologies for the modern workplace. 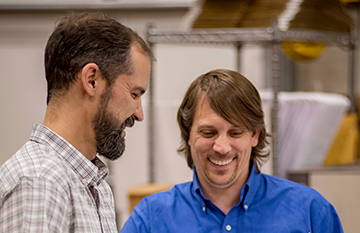 We partner with key innovators, like Microsoft, Crestron and Herman Miller. While our industry changes rapidly, we stay ahead of the pack. We embrace change and bring innovation to our customers. We're empowered to take initiative and approach our work with enthusiasm and a sense of responsibility to get things right the first time. We sweat the small stuff and go above and beyond. We take pride in a job well done and strive to exceed customer expectations. We believe in Whitlock, our customers, and ourselves. We love what we do, and we’re focused on giving our customers the experience they want and providing them with better long-term solutions. We are committed to something bigger than ourselves. We are very active in the community, and we are passionately supporting one charity in a big way. We wanted to see real action happen in our lifetime that would help children and families around the world. 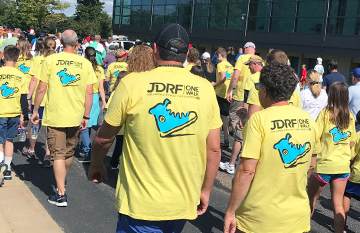 We chose JDRF, and we’re making a difference. We have a shared responsibility to create an environment of trust, respect and integrity. 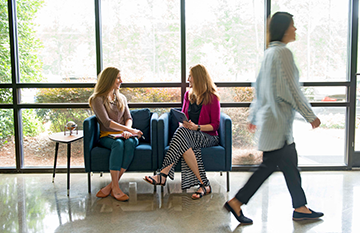 Our regular engagement surveys provide us with the pulse of our employee community and we strive daily to make Whitlock a great place to work. We are committed to helping our employees grow and develop. Whitlock offers technical training in the certifications listed below, as well as sales, marketing and business courses to help with any career path across the company. Whitlock offers competitive salaries and flexible benefit programs that meet the needs of our employees and their families. The benefits package includes paid time off for holidays, vacations and sick days, insurance and health savings plans, retirement benefits, wellness programs and other quality of life programs. We're committed to hiring the best and hope you found the information you needed on our career site. If not, please reach out to recruiting@whitlock.com and let us know how we can help. If you know you want to build a career with Whitlock, please Join Our Talent Network to begin the process. For more information, visit us at whitlock.com.